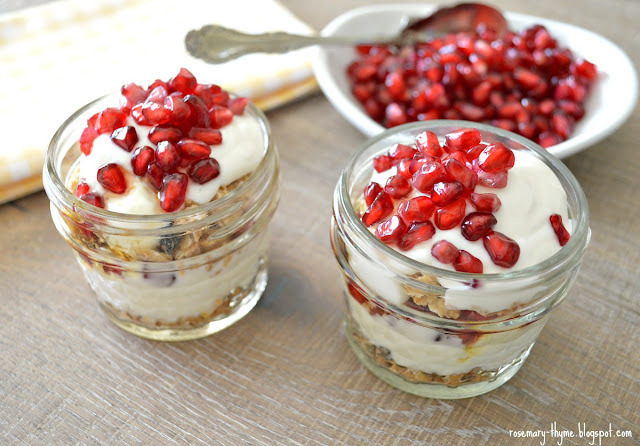 Creamy Greek yogurt is mixed with honey and vanilla extract, then layered with granola and pomegranate seeds in a glass jar. The combination is fantastic!!! Step One: In a small dish or bowl mix yogurt, honey and vanilla. 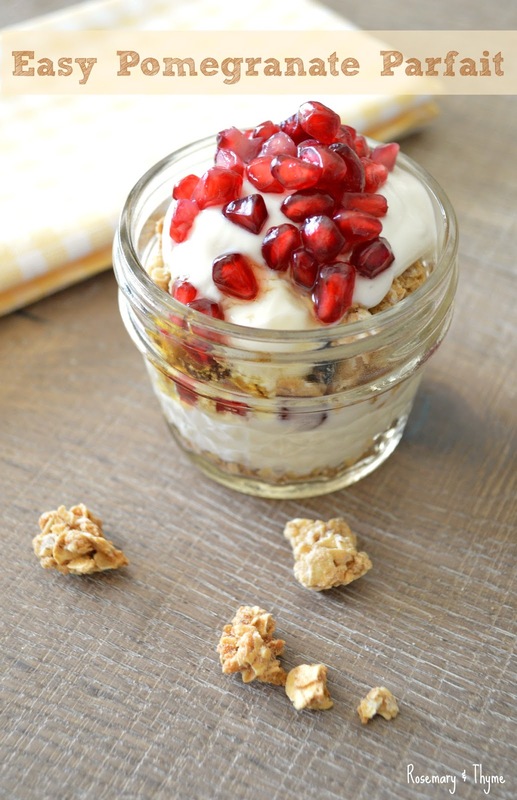 Step Two: In a large glass, spoon granola to cover bottom of jar, spoon in yogurt mix then add pomegranate seeds. Repeat layers. Be sure to finish with the pomegranate seeds on top. 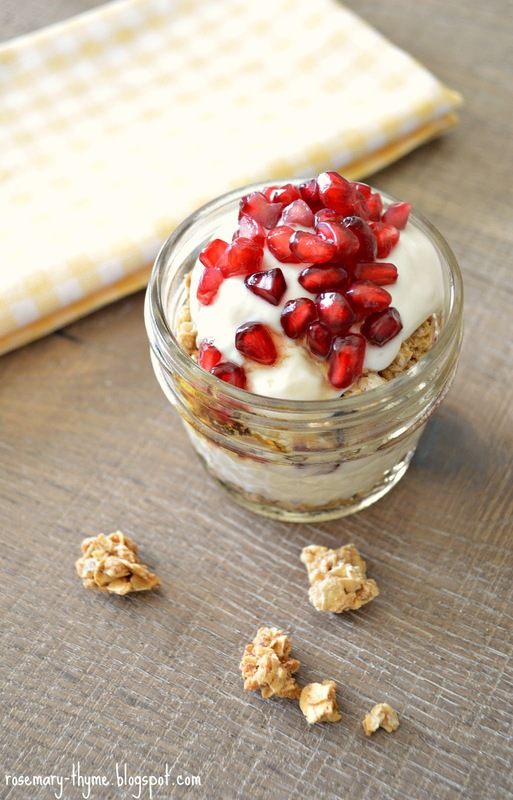 I hope you like my Pomegranate Parfait. Feel free to play around with the flavors of yogurt and fruit for this.. 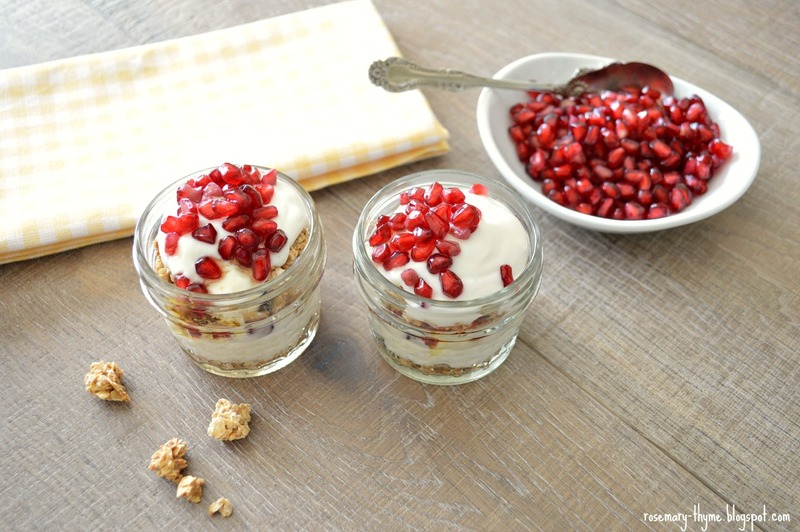 The combinations and possibilities for these easy fruit parfaits are endless! Looks and sounds good, Janet. We all need to eat healthy, I know I do! Thank you Sylvia. I hope you give it a try. And yes, we need to start eating healthy. Thank you... I hope you give this easy recipe a try. I love fruit parfaits! 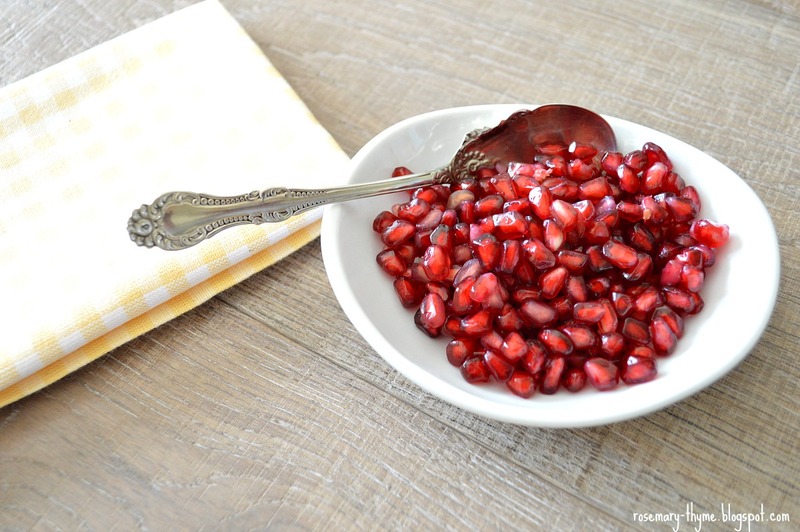 I've never thought of using pomegranates, but I'm sure they are yummy!! Thanks for sharing with SYC.